WOW! 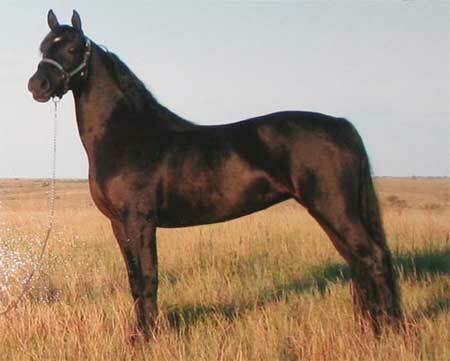 Take a look at this typy homozygous black mare. Her pedigree is stacked with a lot of old Morgan foundation stock that we are concentracting our herd on. She has a super trot with excellent conformation and disposition. We are excited in our anticipation of her quality black foals that she will produce. She is being shown in Western and English classes.